While “Boardwalk” and “Park Place” may not mean anything to you outside of the game of Monopoly, there is a plethora of custom versions to suit your particular interest. 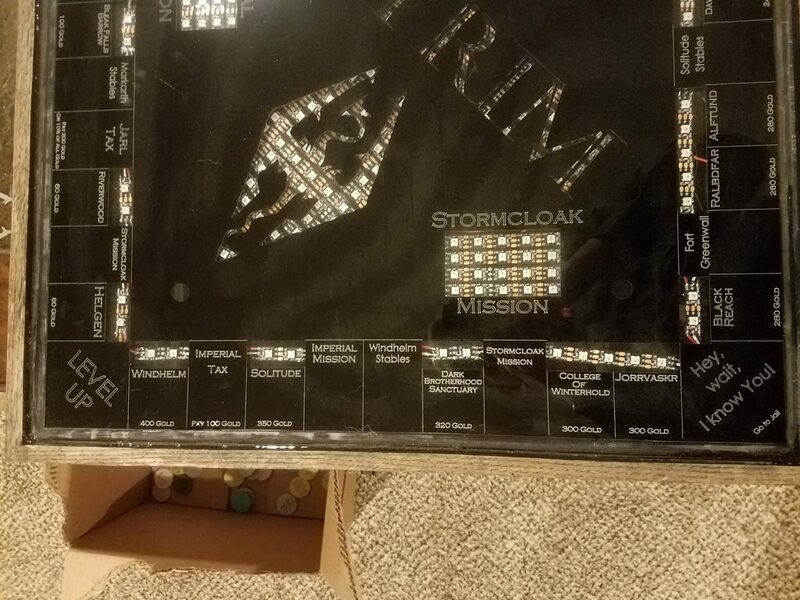 If you enjoy the world of Skyrim, then you need to check out this board by Charles Ledford. The build features an anodized aluminum playfield coated in epoxy, along with a wooden frame that conceals electronics including an Arduino Uno inside. 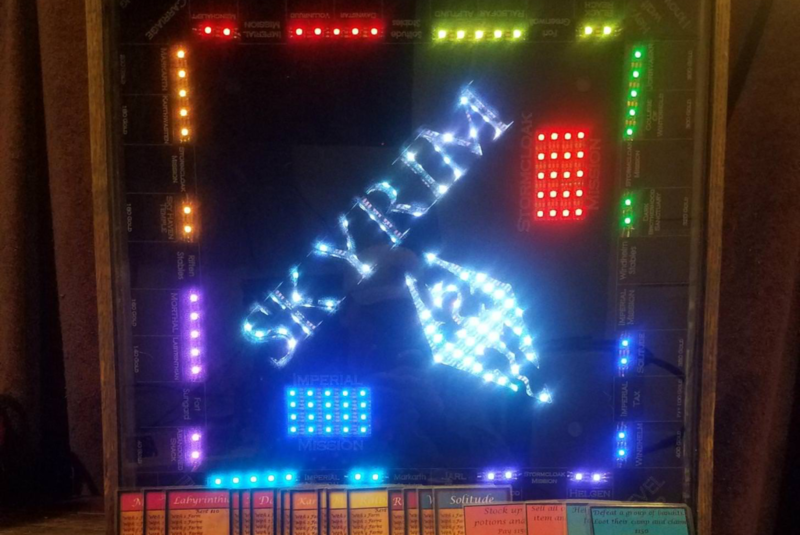 This enables a set of programmable LED strips to light up a dragon and lettering in the middle, as well as properties in the correct Monopoly color. 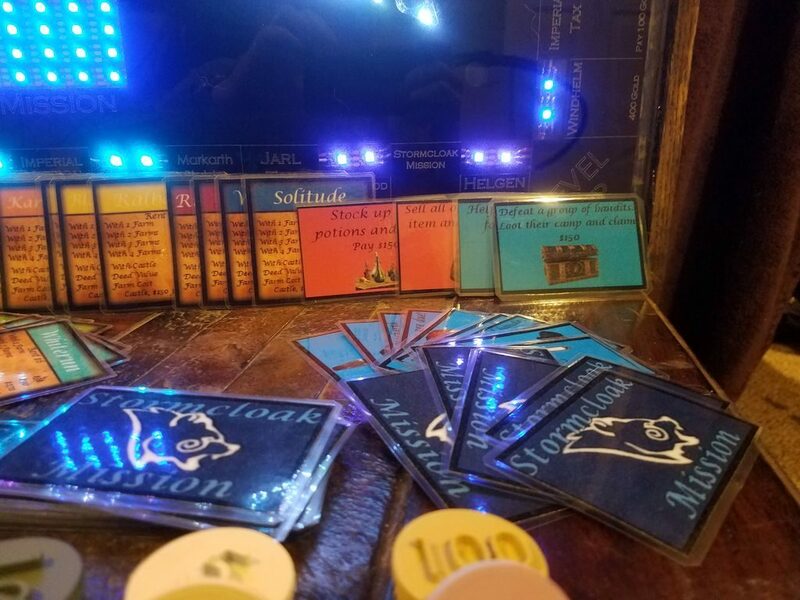 Custom coins, playing cards, characters, and even farms and castles (houses and hotels) complete the project, allowing for fully Skyrim-themed gameplay! You can find more details in Ledford’s write-up, and see a quick demo of it below!